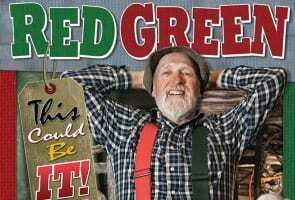 Home » Articles » Things To Do » Red Green Brings “This Could Be It” Tour to Adler Theatre! PBS favorite, Red Green, brings his “This Could Be It” tour to the Adler Theatre (136 E 3rd Street Davenport) on Saturday Apr 13 at 7 p.m. Reserved tickets are on sale now for $57.50 at the Adler Theatre Box Office, by phone (800) 745-300 or at Ticketmaster.com. You won’t want to miss Red Green’s “This Could Be It” Tour. It may not be his last, but why take the chance?